I want to introduce you to a dynamic group of Ukrainian journalists. These (mostly very young) men and women work at Hromadske TV, and are taking on the crowded media landscape in Ukraine, to offer people who no longer trust their media organisations, something new. 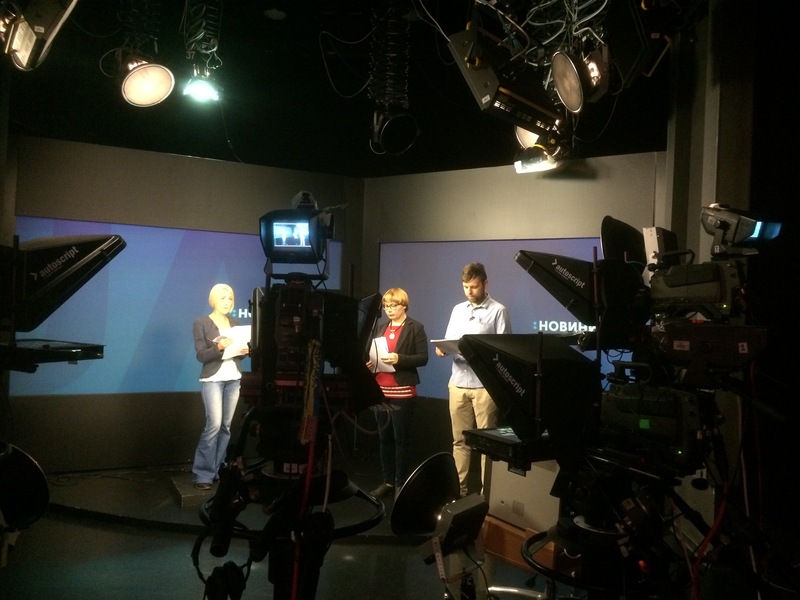 Hromadske is a small, independent news operation based in Kyiv. It was launched during the EuroMaidan protests in 2014 by a small group of journalists. 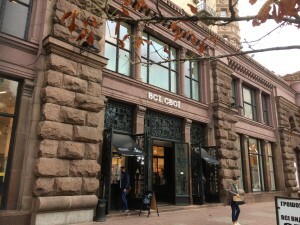 Since then it has established itself and won funding from a variety of sources. This already makes it unusual. In Ukraine, although people can choose from dozens of news organisations, generally they are all are either linked to the government or funded by oligarchs. UA:PBC is the former state broadcaster, and is now working to transform to a public service broadcaster. But as with all large organisations, change takes time. In contrast, Hromadske is small and lean, and officially a non-governmental organisation (NGO). Its slogan is “What’s really happening” and it has won awards for its investigations and reporting, often in very difficult circumstances. And there is no doubt that Ukraine is currently a challenging news patch. The conflict with Russia over Crimea, the recent imposition of martial law in some areas of the country, and the influx of thousands of internal refugees from Crimea to Kyiv, means impartiality is problematic. Meanwhile, the horrific acid attack killing of prominent activist Kateryna Gandzyuk in the southern city of Kherson, demonstrates how high the stakes are for those trying to challenge corruption. There are around 150 staff at Hromadkse, but what this organisation is trying to achieve with those relatively few people is ambitious. 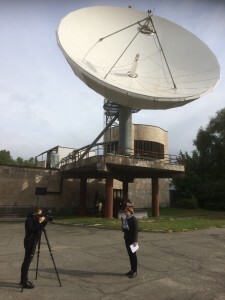 There is a website https://hromadske.ua/ but also a 24/7 TV stream which is broadcast online (on the .ua website and on YouTube) and which last year acquired a place on cable and satellite. You can watch this here https://hromadske.ua/stream . 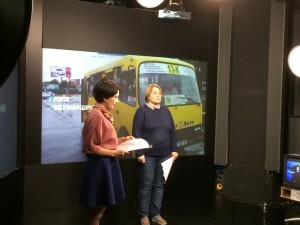 Most of the TV stream is pre-recorded and broadcasts generally in Ukrainian. However, the station goes live for breaking news, when it also streams live on YouTube and Facebook, as well on its cable and satellite stream. And now Hromadske has launched a live nightly news programme at 8pm called нині вже (‘Now and Here’). 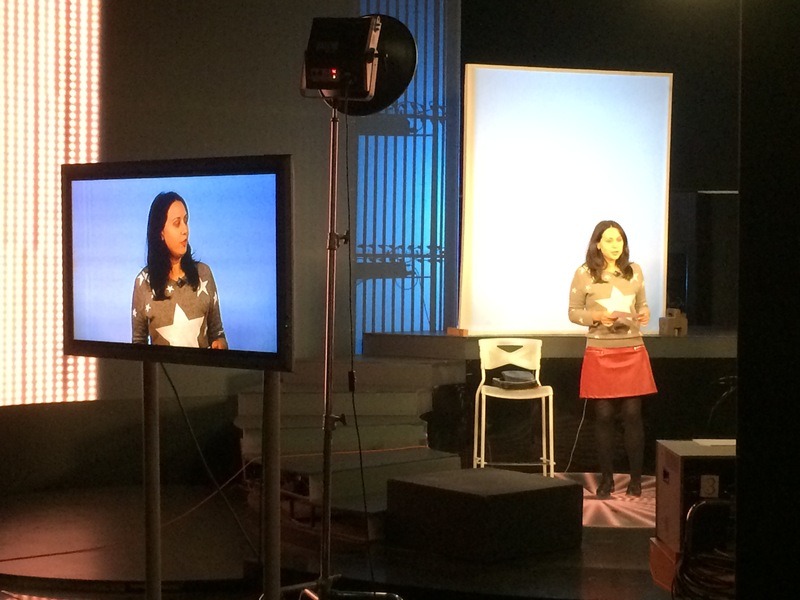 This programme also has an ambitious remit – to look at the big stories of the day and examine and analyse them. It’s very hard for those of us who have grown up with the media landscape of the UK to understand the need for news organisations that can be trusted. While our newspapers are partisan, and the many people might not agree with our broadcasters, they are regulated. And then there’s the BBC, unique in its ability to offer something for everyone. In many countries, Ukraine included, not only is it hard to find unbiased news, but a conventional style of programming is the norm. This means there can be little to choose between channels, other than who they are supporting. Thanks to excellent audience research carried out by Akas http://www.akas.london/ we know that 95 per cent of people in Ukraine say they follow some news. But for the last three years, the audience trust in news media has dramatically declined. This means Ukrainians trust the church, volunteers and the armed forces above the media. And when it comes to receiving news, well over half of people always prefer world of mouth to any other way of getting news. However, the research has also shown that 37 per cent of Ukrainians do trust NGOs. And when those who do consume news were asked what was most important to them in their news provider, 76 per cent of them said authenticity, truthfulness, and honesty – principles that chime with Hromadske. The big challenge now though, is for Hromdske to grow its audience. In a country of around 45 million people, it’s reaching about 7m households and has 334,000 subscribers on YouTube. Here in Kyiv the media landscape is evolving. UA:First, Ukraine’s relatively new public service broadcaster is slowly transforming from what used to be the state broadcaster, thanks to a project funded by the European Union. It’s a vast network of radio and television stations and channels, and like all huge organisations, UA:First is finding such major change a challenge. One of the problems is a lack of awareness in Ukraine of the existance of the public service broadcaster. 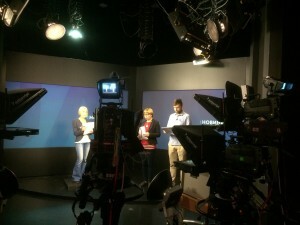 It was offically re-classified in 2015, but according to a survey carried out that year under the EU/Council of Europe Joint Programme, only 34% of the adult population had heard anything about the broadcaster’s launch In addition, the survey found that only 16 % had seen any advertisement or promotional material about the public broadcaster. The media landscape in Ukraine is dominated by commercial television channels, many of which are owned by powerful interests in the country. Since the 2014 revolution, the Ukrainian government has adopted a number of reforms, including laws on transparency of media ownership and access to information held by the state. But the organisation Reporters Without Borders says there are still a number of concerns. 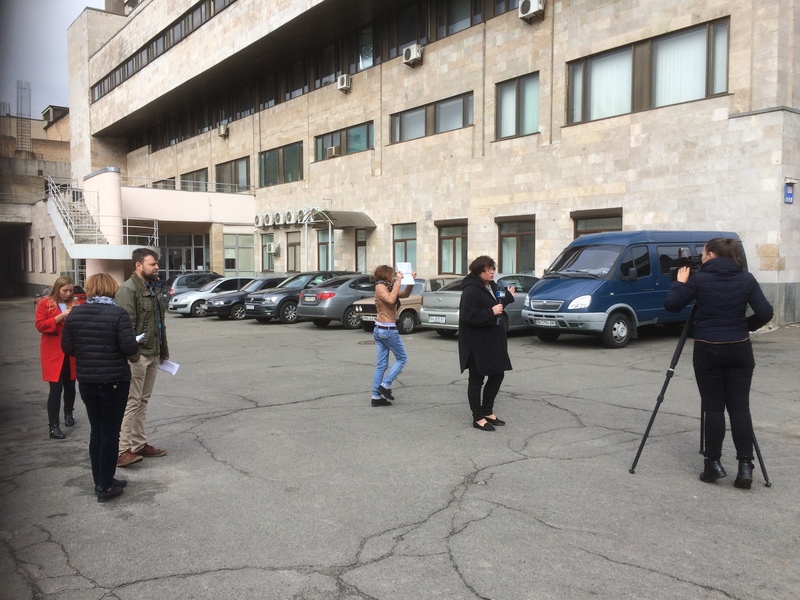 “Physical attacks on the media, including journalist Pavel Sheremet’s murder in 2016, continue to go unpunished and concern is growing in the run-up to the 2019 elections. The separatist-controlled areas in the east are still no-go areas without critical journalists or foreign observers”. In addition, the ongoing conflict with Russia also has an impact on the media. There is an information war with Russia, which means Russian media and Russian social networks are banned in Ukraine and foreign journalists black-listed. But for the most part, I have been engaged by the standard of the programmes I am seeing. 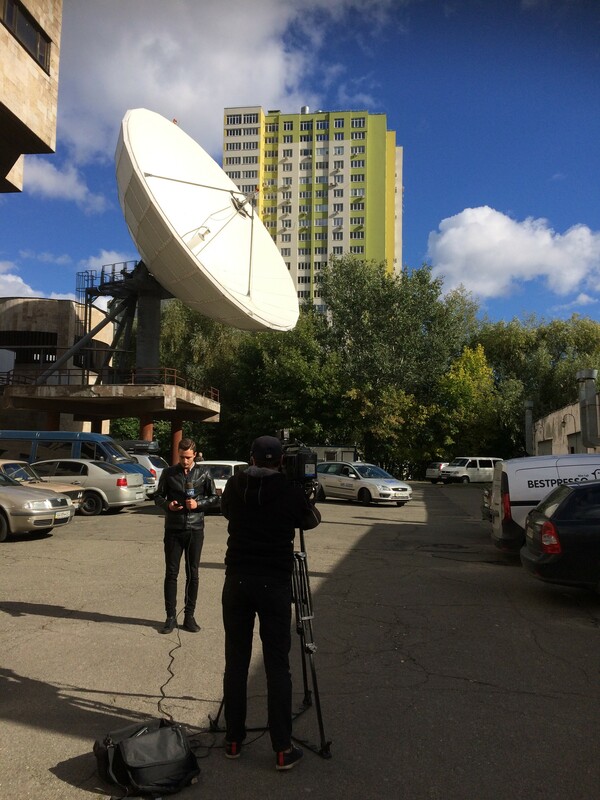 Compared to the material I was working with in Russia 15 years ago, the journalists seem to have a good awareness of the principles of balance and objectivity, and enhanced skills in programme making and presentation. I’ve been riding the Metro here to get to the training location, which is around a half hour’s drive away from the hotel. 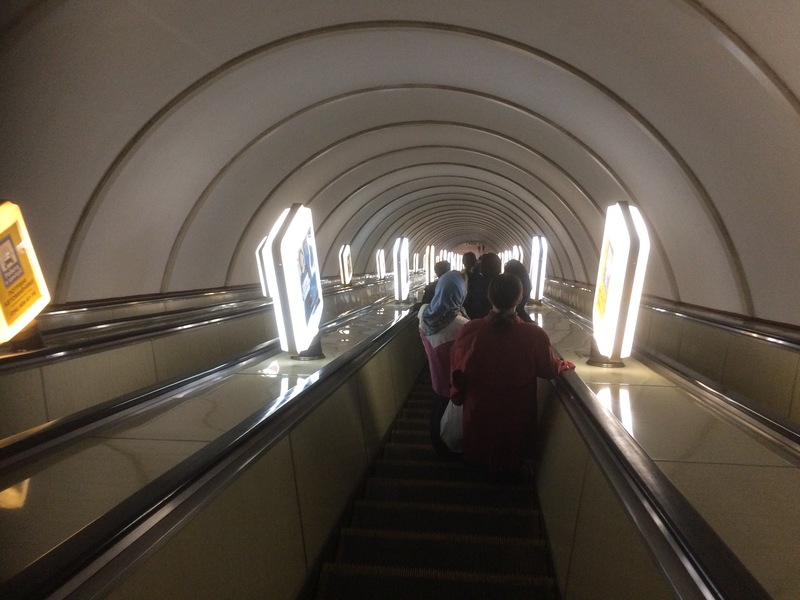 In some ways it’s the same as any rushhour travel on public transport – hot, crowded, claustophobic. 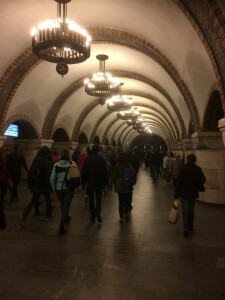 But the beauty of the Kyiv subway makes it worthwhile. I was surprised to read that the network was built in the 70s, 80s and 90s. To me, the marble lined stations, brass advertisement boards and elegrant chandeliers have art deco echoes. 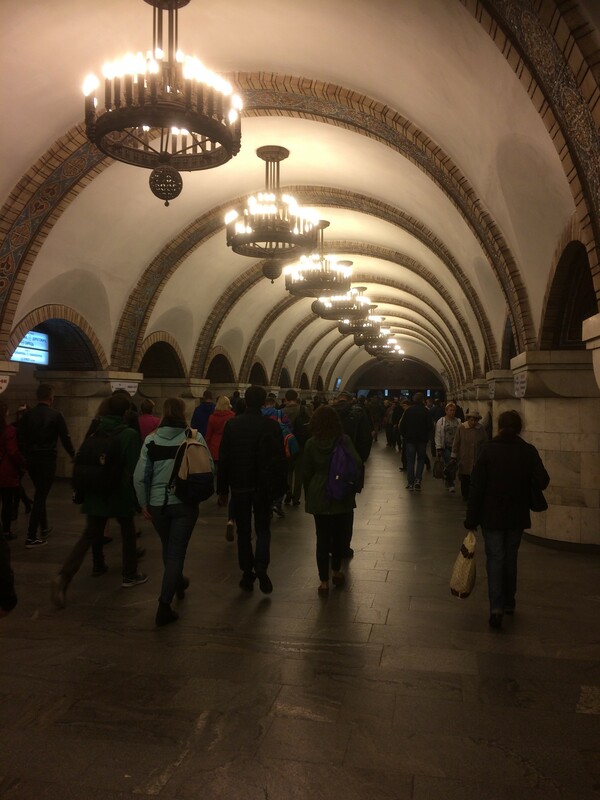 The two lines I travel on are among the deepest subway lines in Europe. They also include some of the city’s main stations – and as such, as are even more decorative. At Kreshchatyk station, these decorative tiles grace the platforms. 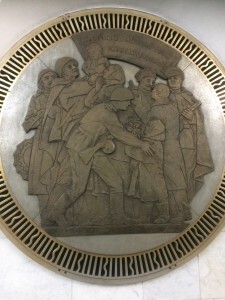 While Voksalna station is lined with these huge brass plaques, which depict scenes from the past, in a truly Soviet style. Kyiv is in a debate with itself about decommunising the city. There are discussions about removing statues and buildings associated with the Soviet union – and consequently the statue of Lenin in the city centre has long gone. Ukraine removed all statues of Lenin in 2017, and now street name changes are being considered. But could that de-communisation mean changes to the Metro? I hope not. So, after a gap of 10 years, I am once again in the Ukrainian capital. A lot has changed, but a lot has also stayed the same. And that tension reminds me so much of returning to Belfast in 2005/6. But let’s focus on this city for the moment. 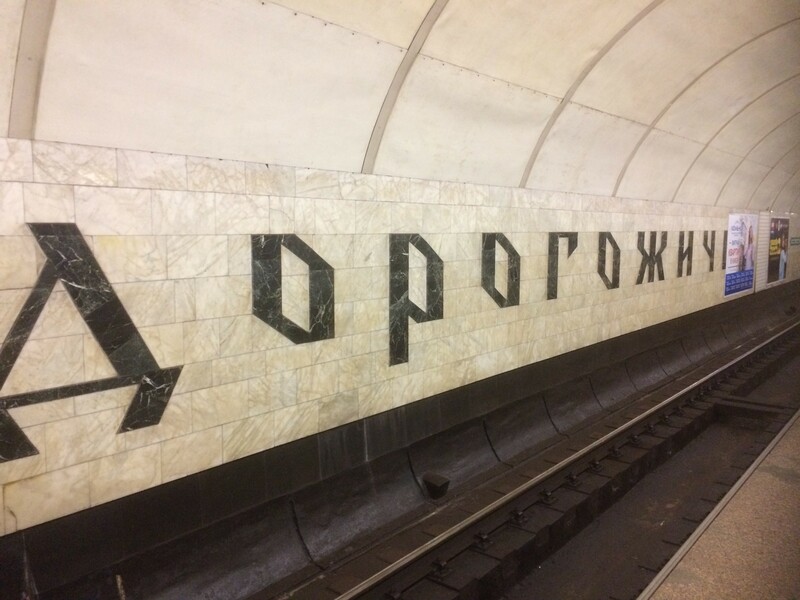 One of the first things I notice is the insistence on the ‘new’ spelling of Ukraine’s capital. 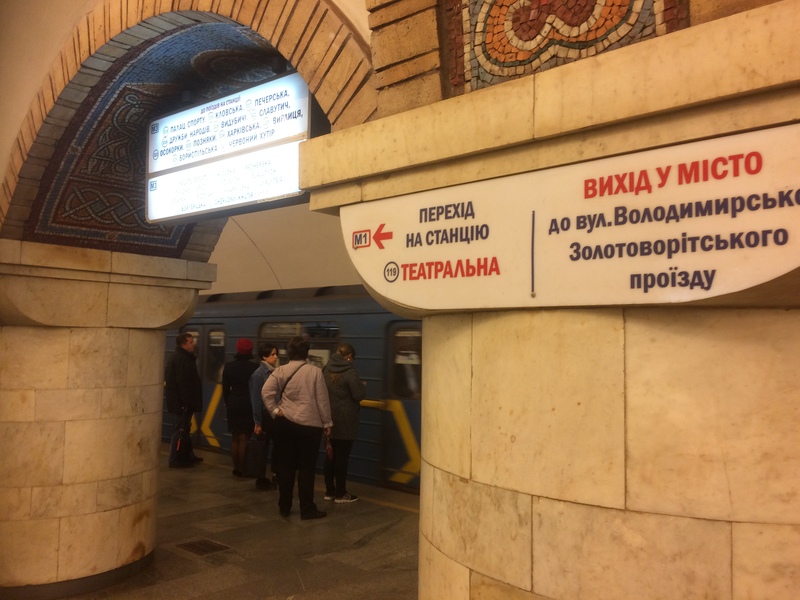 In actual fact the government of Ukraine adopted the Ukrainian spelling Kyiv in 1995, but last time I was here it didn’t seem such a big deal to continue to use the Russian “Kiev”. Now it seems rude and ignorant. And “Kyiv” is pronounced differently, more like “Kieeve”. A city with two names, where have I come across that before?? And that duality continues. Kreschatyk, the main shopping street through the city centre, is still as impressive. 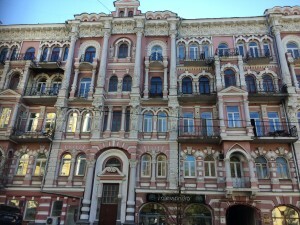 The same elaborate lofty neo-classical apartment buildings rub shoulders with modernist Soviet post-war slabs, like the department store TSUM. 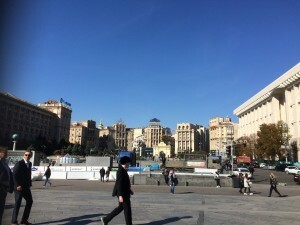 Further along is Maidan Square (pronounced My-dan), where modern Ukraine was created during the 2014 revolution. 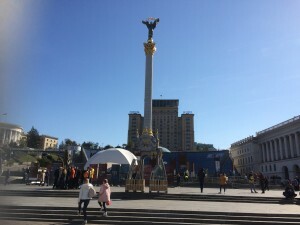 In case anyone forgets that momentous time, the independence monument soars into the sky here, a 20-foot victory column topped with a gold female figure holding a branch of Guelder Rose, a plant with much significance in Ukrainian folklore. Turn your back on the monument and look the other way, and you see an array of Soviet style buildings and hotels. But any confusion as to which decade you are in is soon dispelled by the sight of the McDonalds sign on one of them. 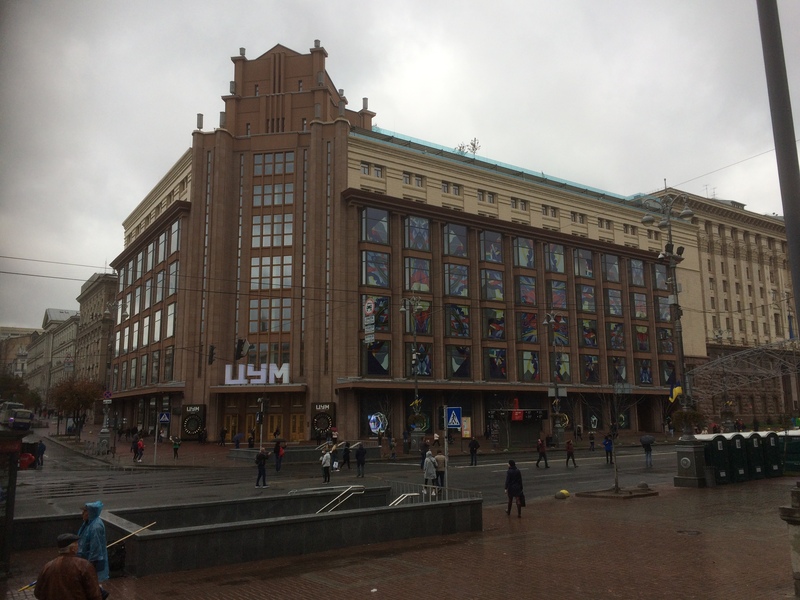 Stroll back along Kreschatyk and you’ll see the same homogenised range of shops apparent in most international cities – here is a Mango, a Benetton, and a Zara. But the two-story store I’ve just bought the most beautiful coat from boasts that all its stock is designed and made here in Ukraine. Many local people, especially the young, speak excellent English. But, despite the continuing war with Russia, there is also no antagonism towards using Russian, as I do, getting by with my five phrases! So, different but the same? In some ways it feels that Kyiv has managed to preserve some of what was unique and distinctive, while still allowing modernity to flourish. A new version of Chekov’s play The Three Sisters, re-imagined during the Troubles, might cause even the most avid of theatre-goers to balk. Re-workings of The Three Sisters are nothing new. But in taking up the challenge, the Northern Ireland novelist and playwright Lucy Caldwell sets the production in the 1990s – the time of the ceasefires and the lead up to the Good Friday peace agreement. What emerges is a compelling comment on a society still in stasis now. The playwright and novelist Michael Frayn has written that, spiritually, the sisters live in ‘exile’. Lucy Caldwell re-imagines the sisters’ dead father as an English Catholic army officer. They socialise with British soldiers, yet have Irish names. In terms of identity, they are in no-man’s land. These nuances fuel their inner turmoil. For many in Britain, the details of the Troubles may be as remote as the Russian revolution. However watching the play performed at The Lyric Theatre in Belfast, it was clear that many of the references to the future, away from the claustrophobia of the play’s present, resonated on a deeper level with the audience. We have delivered workshops to Afghan women via skype again! Only this time it was from the Seamus Heaney Centre for Poetry, and I was with my esteemed colleague Professor Sinead Morrissey. With the support of the School of English at Queen’s University, and the British Council offices in both Northern Ireland and Kabul, this was the third and possibly final stage of the Afghan Women Spread the Word project – teaching the participants creative writing skills. And who better to do that than an award-winning poet? Sinead began by introducing the women to the haiku, the Japanese 17-syllable verse. But they were soon reading her their poetry and talking about landai, the traditional oral short poems, often recited by Pashto women. But the most satisfying part of it was that it yet again a success. And Sinead was as captivated by the women’s enthusiasm as I always am. I’m not sure where the project goes from here – but we have built so many links so far – between women from across Afghanistan – and between Afghanistan and Ireland, that I don’t think we can lose that. 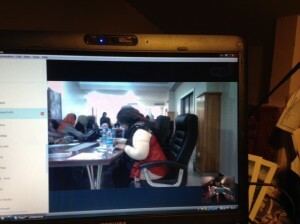 I have just delivered a two-day workshop on interviewing skills, for 20 or so Afghan women, from my home office in Belfast! How was this possible? Through the miracles of modern science – and in particular, skype! It has been a long time since I have posted – too long. But my silence has partly been a reflection of my frustration at the delays in our project – Afghan Women Spread the Word. There are other projects working to give Afghan women the chance to write – and be heard. The Afghan Women’s Writing Project (http://awwproject.org/ ) is one of these, and has collected a wealth of written work from women. 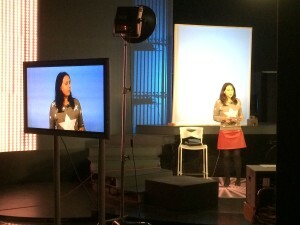 But as a broadcaster, I wanted to hear women too, in their own languages. The first step in our project was to bring women from across the country to Kabul, and train them to carry out audio interviews. This would establish connections between women from different ethnic groups, between Sunni and Shia, between rural and urban. These women were to be trained to use handheld recorders to collect oral histories from women in their area. These recordings would then be fed back to an Afghan colleague in Kabul who would select the best. (But they would all be retained for the archive). Then a second workshop would bring the same women together again. Each will be allocated a recording from a different area of the country, from a woman with a very different experience – from a different ethnic, economic or religious group. This second workshop will concentrate on using the experiences and information in the recording as the catalyst to write a creative piece, a poem or story. Essentially, we are asking the women to put themselves in the shoes of the ‘other’ woman. 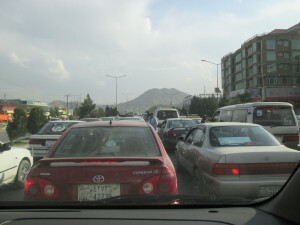 But as the security situation in Afghanistan has steadily worsened, so my chances of returning to Kabul have diminished. All through last summer (2014) we waited for the deadlock over the Presidential elections to be resolved, continually moving the dates for our workshop, until we ran out of time, and it was October, and I had to begin teaching again in the School of English at Queen’s University. I was on holiday in Turkey, in a bar with a wireless connection, when I got the email telling me I wouldn’t be able to travel to Kabul. I sat crying into a cheap cocktail, wondering just when I would be able to return. Then the plan was that I would go to Kabul just before Christmas – but I was ill and couldn’t join the security course I needed to complete before I was allowed to travel for the British Council. Then we tried again for dates after Christmas, but by that time things were so tense in Kabul, even with the security training, it was not going to be possible for me to visit. So finally, in desperation, and after many telephone conferences with my resourceful Afghan colleagues at the British Council in Kabul, we hit on this solution. 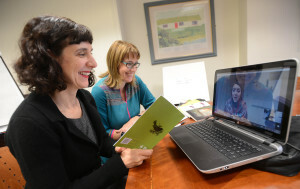 I would deliver the workshops via skype from Belfast. But it has been an amazing experience! Of course I have had the support of two fantastic Afghan women colleagues – one from the British Council and one from AEPO – the Afghan Education Production Organisation. 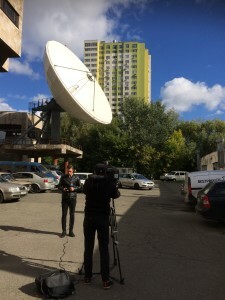 (AEPO produces the long-running radio soap opera New Home, New Life, and you can read more about their work here: https://www.gov.uk/government/world-location-news/using-the-radio-to-bring-social-change-in-afghanistan ). Both of these women have ensured the workshop in Kabul has run smoothly, and that I understand what is going on. And then there are the participants; women who’ve left their children and families, who’ve braved the scorn of in-laws and in some cases the rage of husbands, and who’ve overcome the weather and the difficulties of travelling in Afghanistan, to arrive in Kabul and take part. As well as those challenges, for many of these women, interviewing each other and other women is far from being only an academic exercise. It has been estimated that up to 80 per cent of the population of Afghanistan is suffering from post traumatic stress disorder, and yet mental health services are almost non-existant. In such a climate, asking people about their lives, and recording them, can thrown up huge ethical challenges. One woman became increasingly distressed as she relayed what had happened to her, her husband throwing her and their three children out of the home, in order to marry the 14 year old cleaning girl. By the time she had finished her story, most of the group were in tears. However, another woman inspired everyone with her life story. She and her mother had been left at the mercy of in-laws when her father died when she was four. Her mother had had to marry again to provide for her, and this meant she had many step-siblings. When she reached 13, her step-brother asked to marry her. He was 13 years older than her. In order to keep the peace and support her mother, she agreed. She had her first child at 14 and how has five children. But, she told us, she is very happy with her husband. He respects her and she is working for an international NGO. She is paid a fantastic wage for Afghanistan, she gets to travels outside of Afghanistan, and she now supports those in-laws. For me, delivering the workshop from home has been a surreal experience. When I travel to Afghanistan, as soon as I arrive, and I meet up with my friends, I slot back into life there. But once I return here to Northern Ireland, it sometimes feels as if the whole trip has been a dream. I call it cultural lag – and it happens every time. So imagine how strange it has been to leave the skype connected in my home office, as the workshop breaks for tea, and come downstairs to feed the dog, while above me I can hear the sound of 20 Afghan women happily chatting in Persian! It is as if I have been in Afghanistan- and yet not – because of course as soon as we end the skype call, I am back in Belfast. In many ways however, what has been most gratifying is watching how my presence has become less and less important as the workshop has continued; how the women have developed links and friendships, and how my Afghan colleagues have gradually taken over the task of running the workshop. What we are aiming to do is empower and train these women – and I believe that is happening. There is still a long way to go to achieve our aims, but insh’allah , we will get there! Today the Independent Electoral Commission announced the final figures for the presidential election. This is after they have taken into account all of the complaints made by the different candidates. As predicted, the front-runner, Abdullah Abdullah, has not reached 50 per cent plus one. So there will be a run off between him and his nearest rival, Ashraf Ghani, on June 14th. If you want to know more about both candidates read this interview with Abdullah Abdullah by former BBC journalist Kate Clark, who now runs the Afghanistan Analysts Network – http://www.afghanistan-analysts.org/2014-elections-18-the-abdullah-interview . Or look at this profile of Ashraf Ghani from the BBC http://www.bbc.com/news/world-asia-27142426 . But talking to my friends here, may of whom know the candidates from their childhood or university days, gives a different perspective. One friend told me he had little time for any of the candidates, but went out to vote as a protest against Taliban intimidation and to show his support for democracy. Another former colleague said corruption was still an issue – but war lord candidates were no longer stuffing ballot boxes with false votes in their favour, but now bribing whole villages to support them – a much harder thing to prove. So now it starts all over again, with the two candidates fighting face to face. So I’m back in Kabul – in 2014 – the year the wheels are supposed to come off Afghanistan. Well, there is still no new President, there have been rocket attacks in the city, and legislation outlawing violence against women is even further away (http://www.theguardian.com/world/2014/feb/04/afghanistan-law-victims-violence-women ). But the sky is blue, the sun is up and the city is as lively as ever. This time I am staying in a hotel, which is pretty much like the last Kabul hotel I stayed in – lovely garden but dodgy plumbing and electrics. But even here there are changes – the food is amazing; the staff speak English; I haven’t seen any mice or cockroaches and every room has, albeit slightly unreliable, wi-fi. But it’s not just firms that cater almost exclusively for westerners. As I have scoured the shops for scarfs, jewellry and nockle (the delicious Afghan snack of sugar covered almonds) I have discussed the prices with Jamil, my faithful shopping partner, and the shop keeper has butted in, in English. However, I still need to learn Dari! But one thing is definitely the same- the crazy driving! So I’m back in the decompression zone of Dubai – the never never land of the adult. It seemed I had only just finally come to terms with the fact I was back in Afghanistan, after so many years of dreaming of being there, and then I was leaving again. Yesterday I spent a morning crushing the results of my shopping trips into my case, and wondering how it is that even the stuff you bring always seems to grow in size while you’re away, phoning and texting people to say goodbye, and shaking hands and, in private, hugging my good friends and promising to be back before another seven years elapsed, insh’allah. And then I was in a car driving through those vibrant streets, snapping photos of everything, because now I don’t know when I will be back again, on the way to airport. Getting out of the country was possibly harder than getting in. We had to stop the car to be searched and scan the luggage at the start of the road to the airport. As I hefted my case onto the waist-height scanner, the guard was so busy watching me he totally missed watching the screen as my bag went through the x-ray. He only looked back at the screen when I asked him “sais?”, “Okay?” , and of course by then it had gone through. Then I had to be searched by one of the women guards, whose idea of a body search does not exclude any areas! Next, we were allowed to drive into the airport car park, where we went through the whole process again. Then I was on my own, wheeling my luggage through the midday heat for the 10 minute walk to the airport building, past another three guards. Once inside, another scan and search and then another long wait to go back through immigration, to have my exit visa stamped. And then finally one more scan of the luggage and we were allowed to sit in the departures lounge. 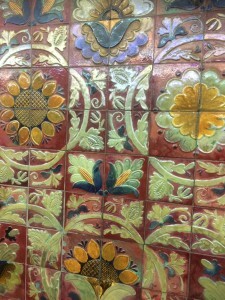 Eventually we were on the plane and then everything settled into the pattern of retracing your steps. The flight seemed to take ages – I read an entire novel – and then we walking into the warm soup of the Dubai dusk and joining the endless lines at immigration. Dubai airport is like a people factory – but as there is free wi-fi I spent the time in the queue checking my email, so the 30 minutes passed fairly quickly for me. But we did seem to be moving very slowly and eventually a cultured Scottish voice called down from behind me to the Arab guys on the desk, complaining about the wait. There then ensued a argument – “Why have we been waiting so long?” “This is not your business!” “It IS my business, we have paid to come here to Dubai”. We laughed as he explained how he literally had two hours to get to see his wife, do the deed and get back to the airport. I really felt for him. Despite my sadness at leaving Afghanistan, at least I was on my way home to see Mutley. Last I saw he was chatting to the guy at the desk. I hope he made it.